The Zionists are going spare over Livingstone's comments but he is essentially right. The Nazis did favour the Zionists over and above all other Jews. There is no dispute about this. What is worse the Zionists actively sought to block the emigration of Jews to any country but Palestine. 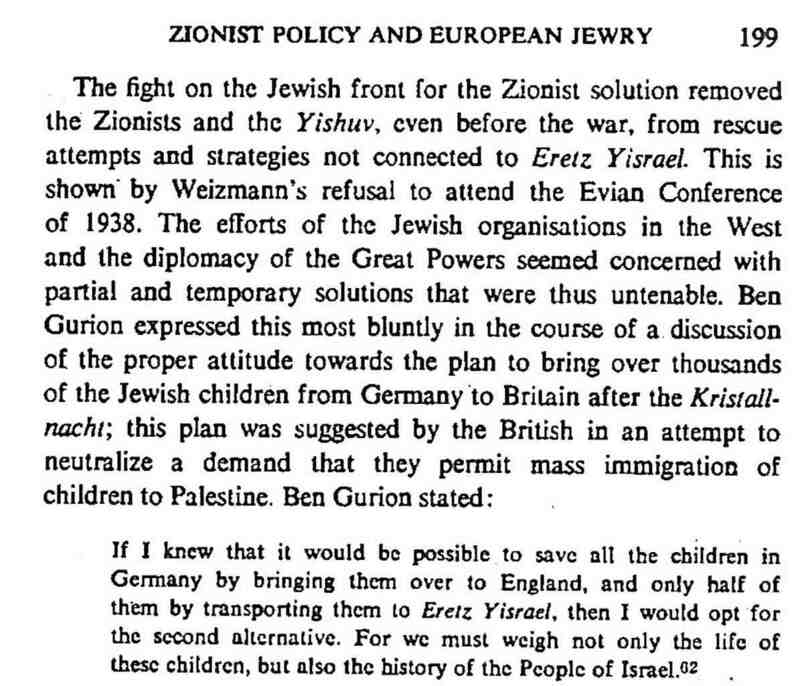 They opposed the kinder transport of Germany and Austria's Jewish children to London because they wanted them to go to Palestine or not at all. They did this repeatedly. I post a quote below which appears in the official biography of Ben Gurion, 'The Burning Ground 1886-1948 by Shabtai Teveth. 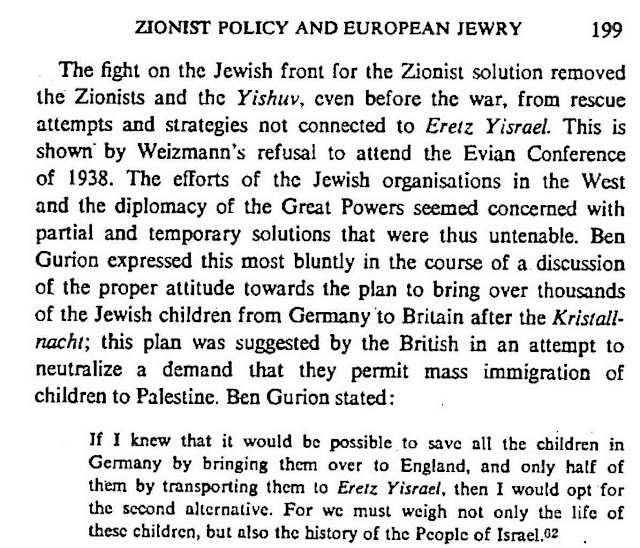 The image below is from an article by Yad Vashem historian Yoav Gelber "Zionist Policy and the Fate of European Jewry (1939-42)," Yad Vashem Studies, vol.XII, p.199. As far as I know Gelber and Teveth are both dedicated Zionists. Ben-Gurion's family chose Teveth as the biographer. The chapter in which the quote appears (p.855) is entitled 'Disaster Means Strength' In other words the Jewish disaster of the holocaust meant the Zionist project was strengthened.